The response to our "Ask Mama Hop" post has been absolutely incredible! We've been so impressed by the honest and thought-provoking questions that we've received. Because of the sheer volume of questions, and because Mama Hop is committed to offering thoughtful and sincere responses to each one, we are introducing "Mama Hop Monday". 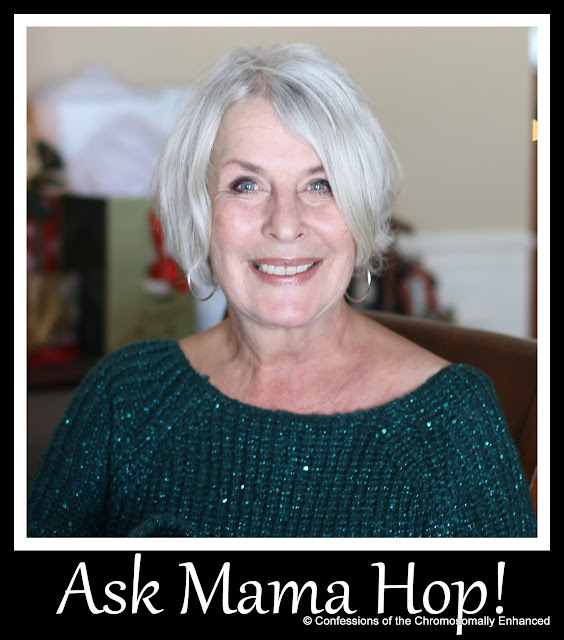 Every Monday, we will post Mama Hop's responses to a few questions, in the order in which they are received. We will continue "Mama Hop Monday's" until the questions run out (or until Mama decides to throw in the towel and retire from guest-blogging). So keep the questions coming, either by leaving a comment or by emailing us at DualDownsDivas@gmail.com. Thanks Christy! How much do I owe you? BTW, none of those photos were taken first thing in the morning. Yes, my poor misunderstood cat has had death threats, but they actually were meant for a neighbor's cat. I try to keep mine inside and if anyone comes inside, I throw him down to the basement. He has been known to bite. Regarding a parent/teacher perspective, each child's uniqueness must be considered and teaching should be presented in various modalities. Then, work with the strengths. With special students, the steps are often small and repetitious. Then looking back in the long term, the rewards are great. I have questions for Momma Hop...My daughter is two years old and carries the extra chromosome...she does not walk and her new physical therapist is advising to put her a kind of hip/leg brace..I have never seen this kind of brace on children with Down syndrome...her former physical therapist advice sure step insole...word of advice, I do not want my daughter using this kind of hip/leg brace, any advice? also, my daughter does not know how to chew and her speech therapist does not believe in oral motor therapy? Here in Florida have not met a speech therapist who performs oral motor therapy, any advice? Thank you! I think you are a cool mom and grandma! I am with you regarding the braces, but I don't really know your child's orthopedic issues. The insoles may be the answer. I got Leanne, 33 yrs ago, high-top baby shoes and she was walking within a couple weeks. She was exactly 2. You are asking the wrong person about the chewing issue, because I still need to remind her to slow down and chew. She had major esophagus issues/surgeries and I bet I kept her on baby food until she was 3 or 4, being neurotic. Start with solids that dissolve like Rice Krispies (no, Kellogg's does not pay me). Maybe small pastas with sauce or creams would help too. If it is any consolation, I had a friend whose son refused to chew until he was like 7! He would only eat strained food or French fries. Eventually, guess he gave into peer pressure regarding eating when he started school. Wow! Thanks, Tracy. The secret of staying young is your state of mind. I'm immature. Recall the picture of Yours Truly going down the grandbabies' slide? That's it for this edition of "Mama Hop Monday"! I'd like to issue a special thanks to Mama Hop. When this blog originated, it was my project and Mama Hop was kind enough to allow herself and Aunt Leanne to participate via stories and pictures. The fact that she has now agreed to take that a step further and participate in the form of an advice columnist is truly above and beyond and I am so grateful to her for lending her time and expertise to this blog. I'm going to be immature like Mama Hop. Smart, beautiful, knowledgable, kind, and immature. Maybe I new role model. I am so excited! Mondays are now my favorite day of the week. I thought of another question, although I commented questions before as well. Mama Hop- which terminology do you and your family prefer- Down syndrome? Down's? Does the term "Down's" bother you? I know the vernacular has changed over the years and you have over 30 years of experience here. What's your take on it? I love this! It's so nice to hear this perspective! And, I agree... Mama Hop is a knock-out! But with daughters like you and Leanne, there was no doubt there. I would like to know how things differ now with Josie as oppossed to when Leanne was her age? Is the acceptance different? Are things better now or worse? What are the biggest challenges, then and now? I couldn't agree more with Mama Hop's suggestion to find positive attributes in students and understand which modalities they require for learning. I teach college students and have to remind myself that everyone blooms in positivity--a balance of positivity and gentle instruction. Mama Hop how do I occupy my almost 3 yr old during mass!?!? It's bad...seriously. I'm just worried if we quit taking him it will be another 5 yrs before the kid will be ready to sit still for an hour! How'd you do it with the girls? Leigh Ann, I'd love to know that answer too, just started taking my 3 year old (as in just started this week) and he enjoyed the songs.... as soon as communion started he was all over the place, as for the message, we were in the playroom! Kind of defeats the purpose. 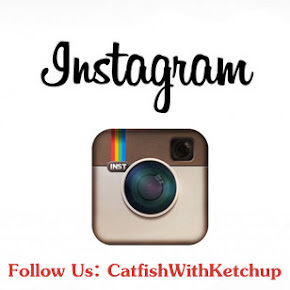 Just wanted to stop by and let you know that I nominated you for an award. Check out my latest blog post at alyzee17.blogspot.com for more info! I am looking forward to Mama Hop Mondays,, and have always enjoyed reading your blog!